However, the high growth has been confined to government bonds, while corporate bonds, the funding channel of remains constrained by several problems. In 2018, VND 196,797bn worth of government bonds were issued, 86% of them through auctions. The government’s initial target for the year was VND 200,000bn, but this was revised to VND 175,000bn in last October. At the end of 2018, about VND 1,082,194bn of government bonds was circulating. The outstanding amount of Vietnamese corporate bonds is much lower than the regional average, causing problems for long-term funding and creating an imbalance in the lending structure. In 2019, the government plans to issue bonds worth VND 260,000bn. In the first quarter VND 69,469bn worth of bonds was issued against the target of VND 73,500bn. In contrast to the busy trading in government bonds for several years, corporate bonds only began to show significant movement from 2018. In the 2010-2014 period, only VND 25,000-30,000bn of corporate bonds were issued. At the end of 2016, the outstanding amount of corporate bonds was around 2.5% of GDP. 2018 was a remarkable year for corporate bonds, with 107 successful issues by listed companies worth VND 224,000bn, a 94.5% YoY surge. The total outstanding corporate bonds increased 53% YoY to equal 8.6% of GDP by the end of the year. However, compared to government bonds, the size of corporate bond market is still small. 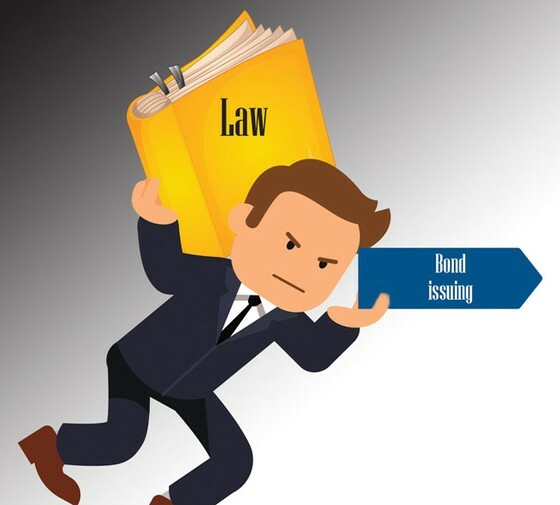 The number of companies issuing bond is tiny compared to 700,647 operating enterprises and 1,565 listed companies at the end of 2017. The difference in magnitude between government and corporate bond markets is not much in developed markets. According to Doctor Ha Huy Tuan, Vice President of National Financial Supervisory Commission, the corporate bond market remains limited and does not play its full role as a funding channel for enterprises. Developing the corporate bond market is an important task of government towards increasing domestic production, export, and technology adaptation. The need to improve the corporate bond market gains urgency when the Vietnamese stock market is now linked to and under pressure from the volatilities of the global stock market. Of late, the stock market has been showing limitations in helping enterprises find funding for their long-term projects. 2019-2020 will be an important period for developing the capital market. If companies could not issue bonds, they cannot access the funds needed for long-term needs, given the recent tightening of bank credit. A State Securities Commission report shows that most of the corporate bond issuing companies in 2018 were operating in real estate, banking, financial services, construction and construction materials. According to the data of SSI, out of 60 companies issuing bonds in 2018, only 14 were manufacturing companies, while real estate, construction, banking, financial services were 12, 8, 7 and 5 in number, respectively. Regarding to the value of bonds issued, banking and real estate accounted for 26.7% and 21.6% respectively, while that of manufacturing was just 13.8%. Some notable issues by banks included BIDV’s VND 4,500bn in 7-year and 10-year term bonds, ACB’s VND 2,200bn, Vietinbank’s VND 100bn, and Vietcombank’s VND 146bn. Major issues in other industries included: Vingroup’s VND 2,000bn; Tien Bo Group’s VND 200bn of 2-year term bonds; and the Ho Chi Minh Securities Company’s VND 485bn of 3-year term bonds. It is evident that banks are the key players in the corporate bond market. They also hold a dominant market share of the government bond market. Of Vietnam’s total capital needs, banks contribute 75%, stock markets contribute 15% and the remaining comes from insurance companies and investment funds. In the corporate bond market, banks are not only the main issuers but also the key buyers. The government is currently improving the legal framework for corporate bonds. Decree 163/2018/ND-CP was issued to replace 90/2011/ND-CP, making it easier to issue corporate bonds and clarifying administrative processes. Several problems remain in the corporate bond issuing structure, including private placements, which is 99% in Vietnam, compared to 12% in the US, 10% in Germany and below 15% in South Korea. However, valuation remains a problem. While the valuation methods of domestic services companies are not highly credited, those of foreign companies are costly, and only big companies can afford them. The government has asked the Ministry of Finance to establish a national credit rating and valuation company at the earliest. It has also encouraged the ministry to join hands with foreign partners to learn the technology and shorten the time taken to establish the national credit rating and valuation company. Besides valuation, information transparency is another important issue. Doctor Nguyen Xuan Thanh, lecturer at the Fulbright University Vietnam, said that the government was aiming to limit credit growth and develop the stock market and corporate bond markets, changing the bank’s role to be more of the middleman and consultant. To issue bonds, Vietnamese companies have to meet the requirements of information disclosure and transparency. If they do, they will be bought by not just banks, but also investment funds and individual investors. The government has said it plans to develop both primary and secondary bond markets. An example: 4 years ago, OCB had to apply for IFRS (International Financial Reporting Standards) as a requirement of foreign investors to lend funds to the bank. In 2018 OCB prepared to list on the stock exchange and did the road shows to attract foreign investors. By already applying IFRS, the information disclosure process was easier and simpler. In Vietnam, the application of IFRS is rare. Furthermore, its current accounting rules are outdated, with the latest changes made 10 years ago.